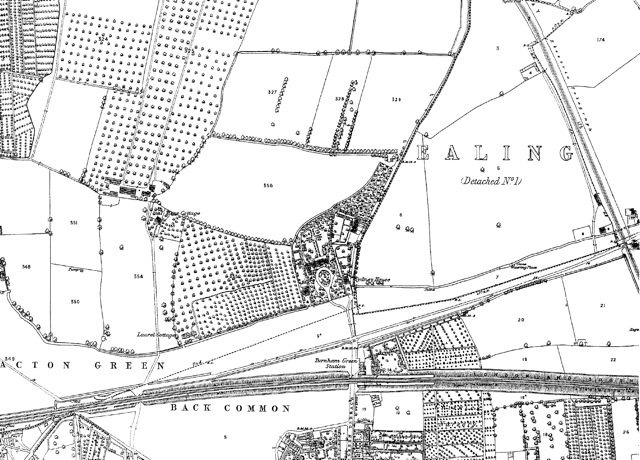 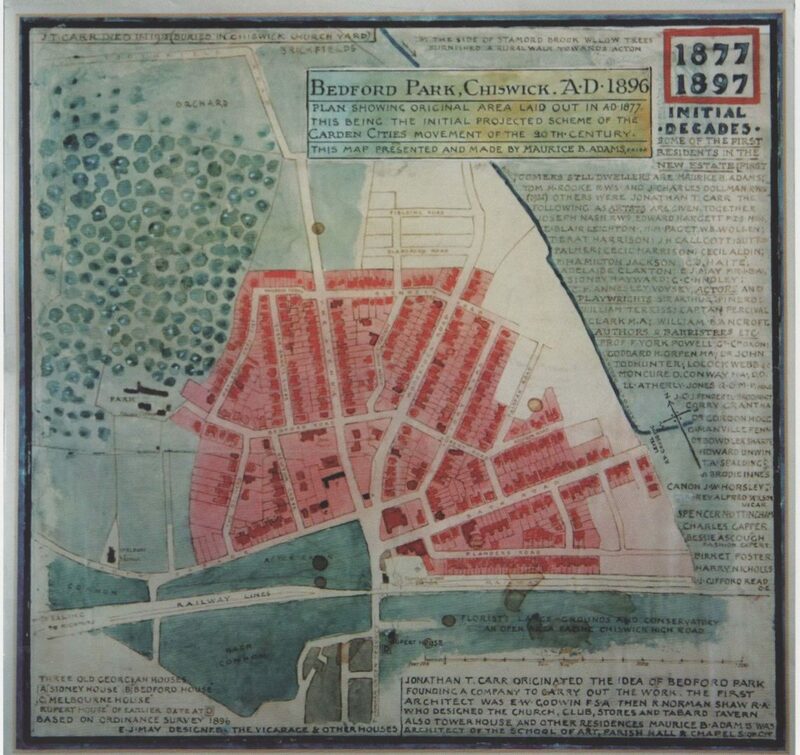 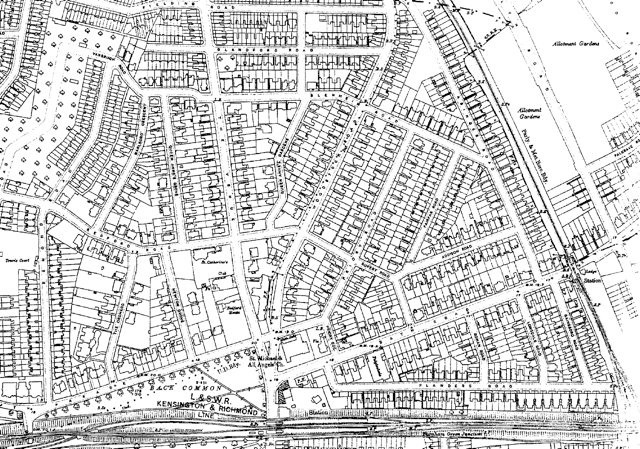 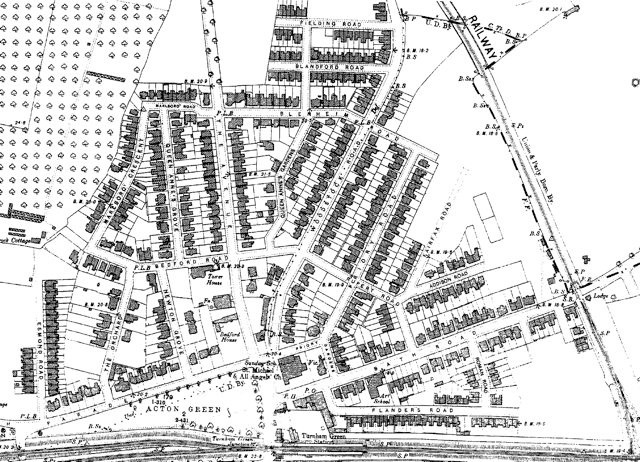 The maps show various stages in the development of Bedford Park and the surrounding area from 1865 to the present day. 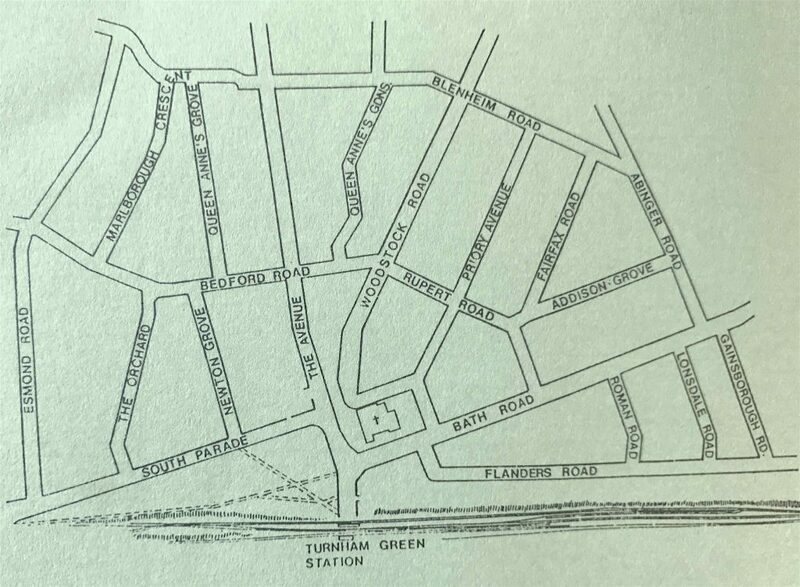 The Bedford Park conservation area stretches from Esmond Road in the west to Abinger Road in the east; from Flanders Road in the South to Fielding Road in the north. 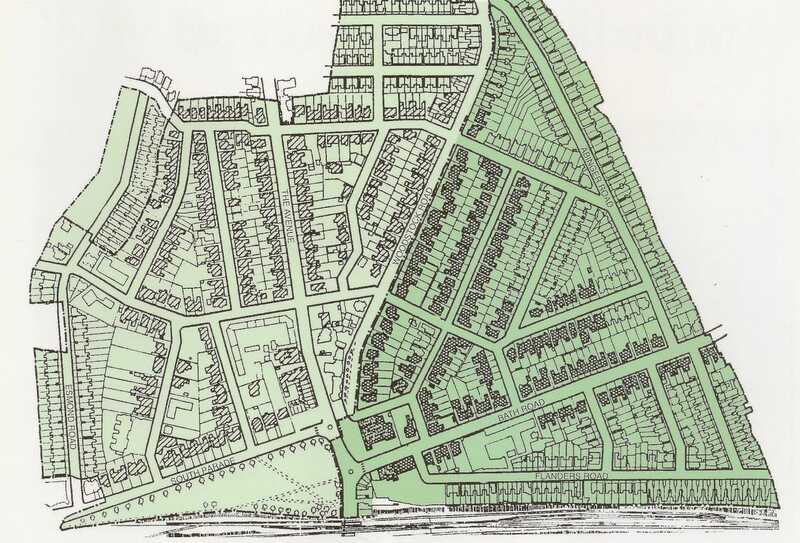 Listed houses are shaded.